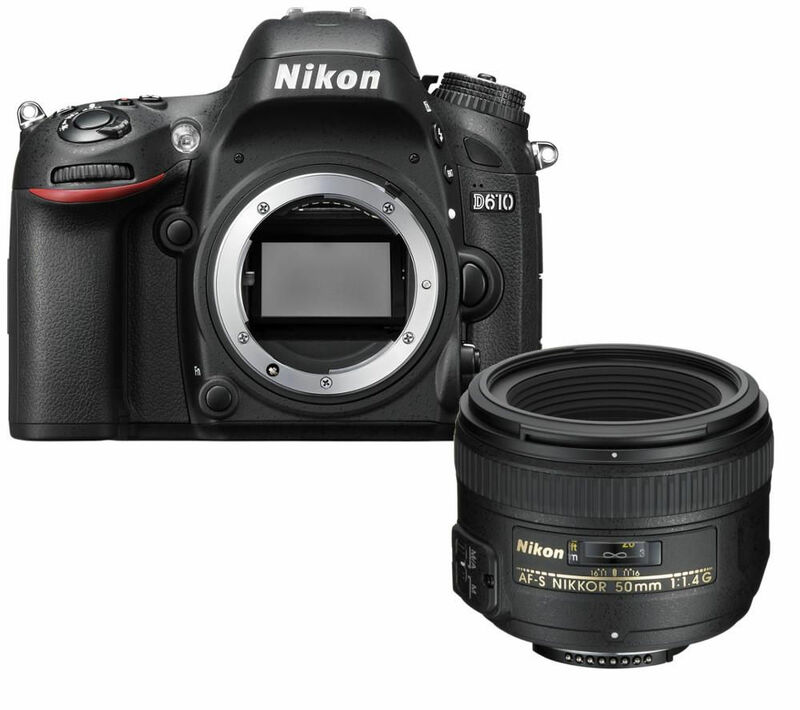 Preserve the moment with the Nikon D610 DSLR Camera & AF-S NIKKOR 50 mm f/1.4 G SWM Standard Prime Lens Bundle. 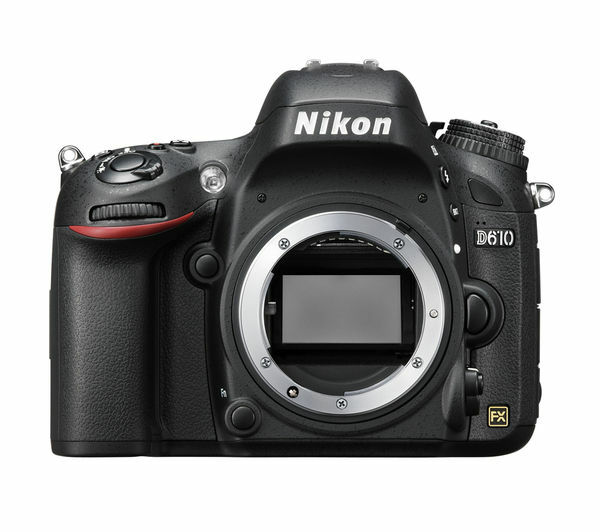 The Nikon D610 delivers an inspiring 24.3-megapixel count that's combined with a highly sensitive FX-format CMOS sensor. This level of power allows you to achieve greater image quality over a broad range of sensitivities. The image sensor captures every detail with lifelike clarity to offer a beautifully sharp image with rich colour tones and low noise. An EXPEED 3 image processing engine brings a high-speed performance to your photography. 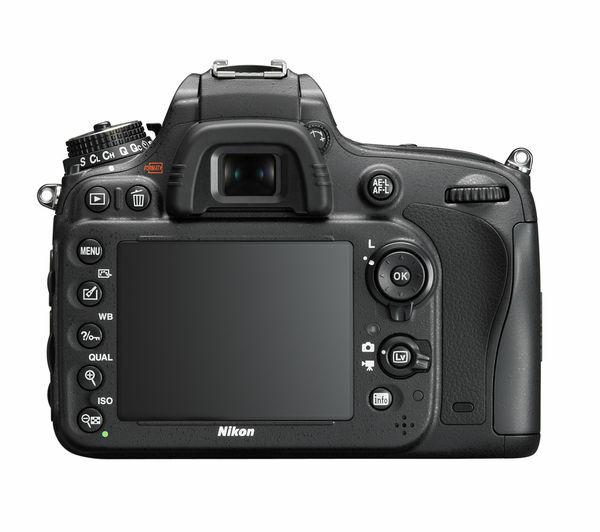 The processing chip ensures effective image rendering, vivid colour reproduction and a broad dynamic range. It also suppresses image noise without compromising on definition. The advanced autofocus system is packed with 39-focus points to deliver accurate subject capture. A Quiet Release burst mode is a great way to capture wildlife photography. The near-silent mechanism means you can get closer to the subject before firing the shutter to capture a burst of images. 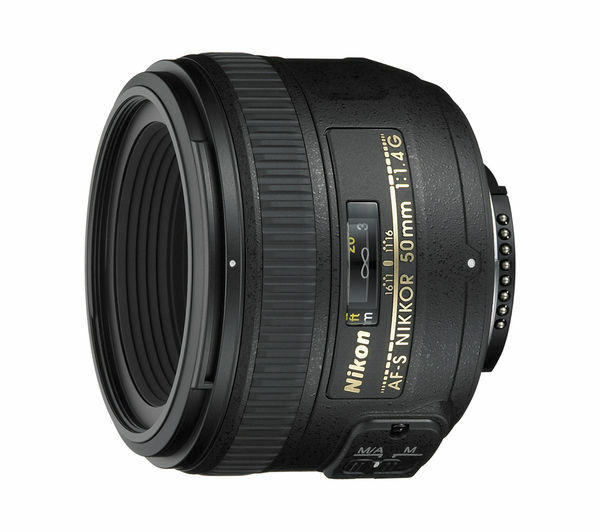 The Nikon AF-S NIKKOR 50 mm f/1.4G Standard Lens is an ideal lens for those low-light shooting situations where you want to achieve a shallow depth-of-field. 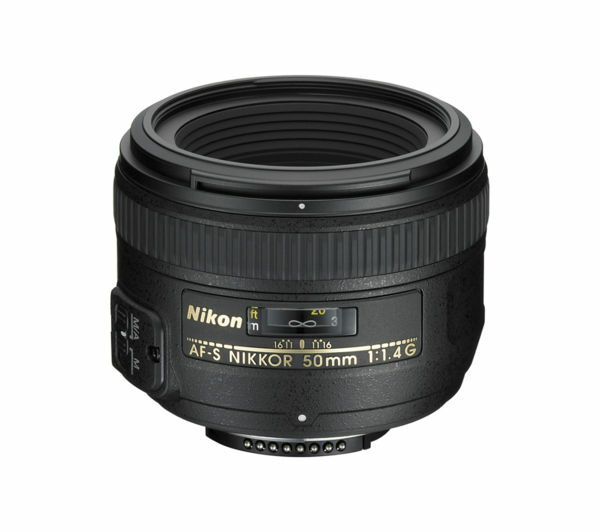 The high-quality Nikon 50mm lens has a large maximum aperture of f/1.4 for a supreme photography performance. The advanced optical design minimises flare and chromatic aberration for a smooth photography performance. You have the choice of both manual and manual-priority autofocus with a silent wave motor for a fast and quite focus operation. The non-rotating front element even allows use of circular polarizing filters and lens-mounted flash accessories. The Nikon AF-S NIKKOR 50 mm f/1.4G Standard Lens will have you capturing vibrant images with stunning depth of field worthy of displaying. The whole thing is as good as anyone at the level it is intended for could want. Excellent value. The image quality is stunning. There is a lot to learn and apart from the manual there is a lot of information available. The control panel could be a little clearer but that is probably a want of my older eyes. Image quality, usable iso range. Built in wireless would be perfect.